Mind-melting music on par with Popol Vuh. Who’s Popol Vuh, you ask? Well, they did score most of Werner Herzog’s movies in the 1970s and 1980s, if that gives you any indication of their ethereal qualities. Lee’s Summit’s very own, Metheny is a jazz-rock guru on the guitar. Catch her on a given weekend at Jardines or the Blue Room. She’s a throwback to Kansas City’s finest hour. 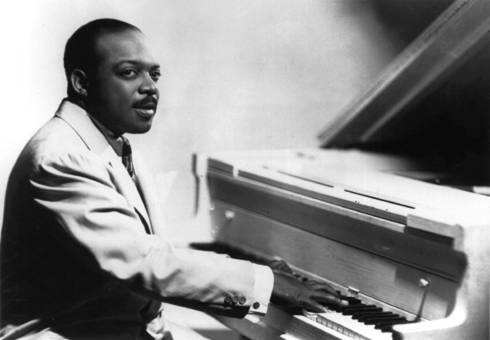 Spent 13 years as Basie’s voice, and Basie only hired the best. Had a voice as big as his stature. And “Big Joe” was 6-foot and more than 300 pounds. My man. A bandleader, singer and masterful piano player, McShann built his jazz empire in Kansas City and stayed here until he died in December 2006. Most would argue he deserves the top spot on this list. He doesn’t because of bebop, music as nerve-racking as a stack of dishes dropped down a stairwell. The sweetest sax of all-time. His coo was cooler than the Bird’s. Especially when paired with Billie Holiday, his lover. If there was a Mount Rushmore of jazz music, his mug would appear next to Louis Armstrong, Duke Ellington and Scott Joplin. As a composer and bandleader of nearly 50 years, he directed some of the most awesome assemblies of musical artists ever.